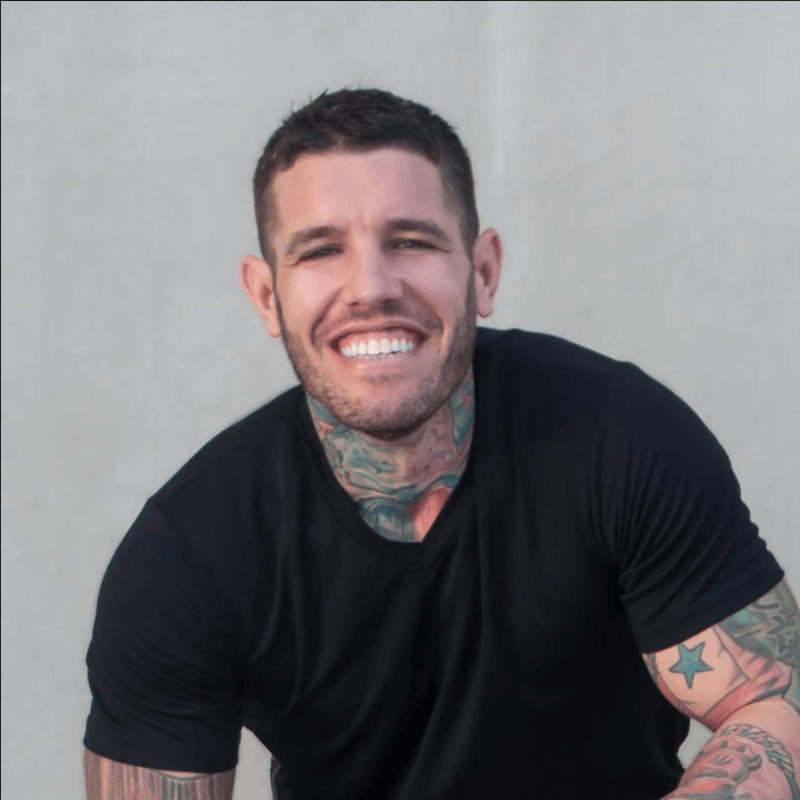 How did introvert Brian Smith go from being terrified of selling, with a lifelong fear of rejection, to a billion-dollar worldwide brand founder? By staying true to himself. Finding the exact right person to close our festival is always difficult. We look for a real-world business success story with an excellent track record in presenting from the stage. It’s always hard, because many founders don’t do public speaking…or at least, not very well. And most professional speakers do a great job with their specific topics, but don’t have experience in taking a business from a small startup to a worldwide success story. As a proud Australian, of course I knew exactly who Brian Smith was. And I knew that having the founder of billion-dollar brand UGG Boots speak from our stage would leave a lasting impression… And I was right. I remember being exceptionally impressed – not just with how authentic and relaxed he was on stage, but how genuine he was when talking to me before his presentation, and to the attendees afterward. As I do every year, as a thank you, I like to take the closing keynote speaker out for dinner and then show them around the city before dropping them back to their hotel. Over dinner I talked about how amazed I was with how he captivated the audience, how they seemed mesmerized with every story that he shared. Whenever I do a keynote presentation of my own, I always tell stories too. I used to try to share facts and details, but as an introvert, I found it left me feeling incongruous and awkward. I thought it was just me. That’s what surprised me most about what Brian said next. Brian told me that after the success of UGG Boots, he wanted to share what he learned with others, so he decided to become a speaker. He hired several well-regarded extroverted speaking coaches, who all told him to tell quippy jokes and use particular tactics to engage the audience. He said that everything they told him, while it worked for them and for other people they taught, as an introvert, he just felt inauthentic. He said it wasn’t until he just started sharing stories, well-practiced and structured stories of his own personal experience and the experiences of others, that he finally felt comfortable on the stage. I couldn’t believe that it wasn’t just me, that another introvert had stumbled on the same strategies for introverted presenting as I had. We laughed about just how similar our presentation styles are, how we love helping others (which is why we both stay after our keynotes to answer questions), and that we wished there were introverted speaking coaches who could have cut the learning curve in half and saved us a lot of discomfort. As it turns out though, we again have an edge. Brian’s seemingly natural, confident stage presence is the result of two of what he considers his most important introverted qualities: being himself and being prepared. There is no question that introverts can be commanding, compelling public speakers – we just need the right approach and the right systems. And this applies to so much more than just speaking. Extroverts are generally regarded as having an advantage in business, and it’s no wonder – when it comes to sales, networking, and self-promotion, those who are confident and talkative may seem to have an advantage. But introverts have an important secret weapon that changes everything: the deeply-held desire to be authentic above all else. 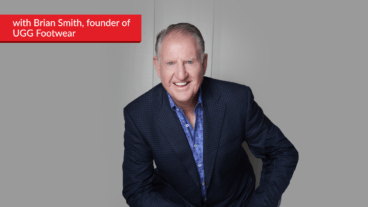 Learn how this drive to be true to oneself brought Brian Smith both a billion-dollar business and, ultimately, personal fulfillment. We introverts may not love the process of selling, but we’ve got to do it, not just to keep our doors open, but to truly thrive. Brian shares his journey from beginning UGG Boots, pushing himself to go out and do terrifying door-to-door sales calls, to the realization that the surest way to make sales was to stay true to himself. Matt: Hello everybody and welcome back. 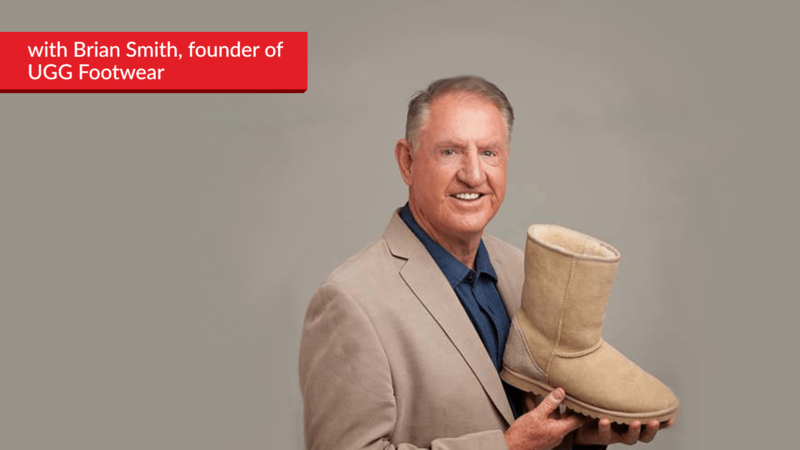 I’m excited to introduce to you today – one of my good friends, another fellow Australian – Brian Smith, the founder of UGG Boots. Brian, thank you very much for coming on today. Brian: Matthew, great to be here. Matt: Mate I – I have to say, I’m really excited about having you on the show. Because you spoke at Small Business Festival, and you did an amazing job at Small Business– I don’t think there was one person that walked out of that keynote presentation, without being blown away. Yet you and I had a conversation afterwards about how we both have introversion – and how nobody believes me, and no one believes you about that. So I’d love for you to share why you think most people don’t think you’re an introvert, and how you sort of found out that you were an introvert yourself? Brian: Well from very early age, I was– I was always struck with this fear of rejection. And that caused me to have to live and act out my life in a lot of different ways than most of my friends. Who were just going out, doing whatever they thought was right. I was always so worried about what people would think. That I tend to – plan a lot more than they ever did about how I was going to interact with something, or how I was going to say something, and how I was going to act in a group. And so the – the whole introvert thing just sort of evolved in my life. And it’s crazy, because people see me on stage and they think I’ve got so much self-confidence. And I do now, but back in those early days, it wasn’t confidence. It was just coping that caused that introversion. But yes, now people see me as this great charismatic person stage. And an author and a founder of a billion dollar business. And – but they don’t realize that I’m still at heart, very much an introvert. Matt: What was funny, and what I found interesting about seeing you speak on stage and what people spoke to me about afterwards, is – you really found a way of speaking on stage, and doing it so authentically. It – for you, it had – it almost felt like it was a conversation with a buddy. Now when you started speaking – talk to me about the transition. Like what struggles did you have when you first started speaking on stage? And how did you manage to mediate that – to become this really authentic, comfortable person in your own space? Brian: Well luckily I’ve lived everything I talk about, okay? That’s quite different from most speakers. They talk about everybody else’s stuff. So knowing – just having the confidence to know that I could speak with authority on what I did, because I actually did it – is one thing. But the amount of preparation I had to put in. Because I just can’t get up there and wing it like an extrovert – who say anything, and they don’t give a damn about it. And I went, “When?” She said, “Well I’ve got my own seminar in 2 weeks.” She said, “Do you want to speak?” And I go, “Okay.” And I didn’t have a clue how I was going to do it. So that – again, because I didn’t want to just go in there and wing it – I did the old introvert thing. I planned, and planned and planned – and figured out what a good speech is made up of. And got the rhythm going, and got some stories together. And my first talk was a hit. I mean, I got a standing ovation. And it was just me being me. The introvert talking like from me to you, like right now. I’m oblivious of the audience, because this is the way introverts work. We’re just very personal. Matt: So it’s funny – so I’ve spoken to Ryan Deiss and Jamie Masters – two other really good friends of mine. And they talk about – when they speak from stage, they have to speak beyond the audience. They can’t look at anybody in the audience specifically, they just focus on the fact that they’re talking in a room. For me, I focus on three people when I’m speaking on stage. Because if I notice that there’s a whole crowd, I feel really uncomfortable. So what I have to do is – I have to fixate on three people – and I look for them for energy, and reinforcement that what I’m saying matters. I think that – for introverts, we have to have strategies to do things like that. Very similar to – you just said – you worked out what it took to make a great keynote presentation. You worked out how to set it up. Because if you had of just got up there and talked about your story, it wouldn’t have worked, would it? Brian: I wouldn’t have had any structure. I would be so out of my depth, yeah. Matt: And I also find – like when I get up and speak on stage, a lot of people will say, “That was really funny.” Or, “You’re really quite funny when you’re on stage.” And for me, I’ve got a private coach that tells me what’s funny. So that I learn to pause afterwards. Because otherwise – I just want to get up. And I’m very in the detail. See introverts are really quite thought out people. They want to think through everything. So when we get up and speak in the moment, we’re really just talking about the detail. And some of it may be funny, some of it may not be. So unless we plan it beforehand, we can’t decipher it in the moment like that. Did you – do you find the same thing? Brian: I’ve found – when I run through it on stage, there are quite often some times where the audience is laughing and that I didn’t expect them to. Because it’s like a natural throw out for me. And other times where I try to make a point – in fact– I did used to work with coaches. And they would sort of write stuff for me to say, and it always bombed. ‘Cause I would say it, and I’d be waiting for some reaction. ‘Cause yeah the coach thought it was so fantastic. And it’s like – nothing happened. So I’ve completely gone away from anybody else coaching me on what to say. I do still get coaching on how to say it, and the pausing and everything. But yeah – if it’s not authentic, I can’t tell it. And that’s – again – comes from that introvert thing. I don’t want to get caught out. I don’t want anybody to find out that I say something that I can’t back up. So in that protective introversion way, I– That’s how I cope on stage. Is I’ve got to know my material, and that it’s me. Matt: I think that’s a really important thing. And it’s something that I think a lot of introverts need to really embrace. Is that for us, doing something that’s scripted that’s not us – just doesn’t work. We have to feel authentic. And for me, I mean – when I get up on stage, I share stories of people that I’ve worked with. My own personal stories. And I can be funny, I can be quirky. I have to practice it first, so that I know which ones are quirky and which things are funny and what the audience will– And I utilize coaches for that. But I’m exactly the same. I’ve got to come up with my own stories. Because if I pushed into what somebody else finds funny, or what somebody else suggests is a good story – I just can’t – I can’t do it in a congruent way with myself. I feel uncomfort– I’ve almost had that impostor syndrome happen. Brian: That’s right. And that comes back to my fear of rejection that I’ve had all my life. If I’m not authentic, and I fake something – I think I’m opening the door to somebody coming in and rejecting it. So that’s another sort of safety mechanism I have. Is the authenticity has to be there. Matt: I think that’s a really important factor. So as introverts – we want to be public speakers, we want to be salespeople, we want to go out and be fantastic networkers. But if the strategy’s not based on authenticity, we can’t do it comfortably. Because for introverts – we’re internal based people – and we need to lead with our heart, rather than an external strategy. So Brian, I’m interested – because, I mean – now you’re a speaker. But I mean – as you said, you founded a billion dollar industry. I don’t know anybody in the world that doesn’t know about the brand, UGG Boots. You came from Australia, you ended up in California. And you didn’t have – let’s just say, you didn’t exactly have the Facebook that started – and next thing you knew, 20 minutes later it was this ridiculously sized business. You’d put foot in a lot of the wrong directions, before you found the right direction to go. 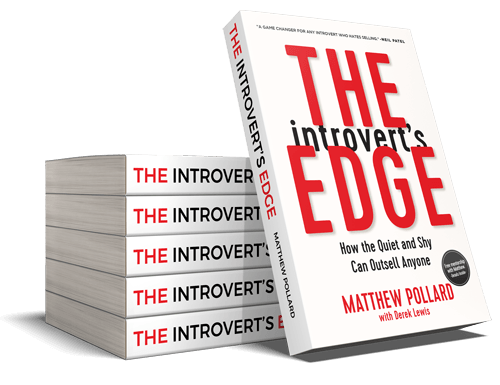 And I’d love you to put the introverts lens on for a second – and talk through some of those things that happened, and talk about perhaps how you were disadvantaged as an introvert – or had an advantage as an introvert, to be able to cope with those steps? Brian: Okay. Well probably the most meaningful thing is– I came to America looking for a business to take back to Australia. And I was an accountant down there, hated it. I wanted to get into business for myself. So all the trends were coming out of California. So I came to California looking to find a business to take back. It was after about 3 months of being in California, I realized, “Oh my God, there are no sheepskin boots in America.” And because you and I know 1 in 2 Australians wear them – or did at that time – I thought, “Instant millionaire,” right? So I brought some samples in, and just started taking them around to the shoe stores. And I – because I was an accountant, I was terrified of sales. I was so introverted. I had audit clients who were car yard – used car yards. And the salesmen scared the heck out of me. They were so outgoing and well dressed. And they said anything anybody wanted to hear. They had no relationship to the truth. It was whatever could get a sale. And I was in absolute awe and fear of these types of people. And so for me to get out and go around and start to speak to shoe store owners – was a huge, huge deal. I would procrastinate for weeks. And finally, I’d go out – and I got shut out by hundreds of shoe retailers that just said, “Oh sheepskin in California? You’re crazy.” But I was driven by the knowledge that everyone in Australia wore them, and California climate is identical. So by being an introvert, I was able to find the point of least resistance to get into the market, into the US. And I mean – and it wasn’t like instantly solved either. I remember 2 or 3 later, wheeling boxes of sheepskin boots into the Action Sports Trade Show – which is full of bikinis, and surf products, and t-shirts and everything summer. And here’s me with my head down, hoping no one’s watching – wheeling boxes of sheepskin boots, and setting up my table. And again – fear of rejection. Hugely powerful. And but – because of the planning and the number of pre-show mailings that I had done, and the advertisements I’d run in the newspaper – I knew that I was prepared no matter who came up. To be me, and to sell my product. But it was so– Everybody around me was just all these hugely extroverted sales reps.
Matt: So Brian, I think a lot of people that are watching today will believe to themselves that they’re really introverted themselves. And but they believe in their product. Matt: But you did 2 things, I think you’ve highlighted. One is that you were willing to walk into these retail stores. And that takes – that takes gumption that introverts really struggle with. And the second was – you looked for a niche. I’m going to define it as a niche market. Because you stopped trying to sell to everybody, and you went, “Surf shops, surf shops is my answer.” I would love for you to share with us – how you overcame the first step, and what was your thought process around the– The deciding you needed to really taper down on one specific group of people? Brian: I had a buddy, Doug – who was an extrovert. And he was going to be the salesman, right? And when– He was the first one to go out to the regular shoe retailers. But he lived in a different part of Los Angeles, so I had to go do my local section. And he had been out there on the road 4 or 5 days visiting retailers. And I hadn’t got out of the house. I was so terrified. I knew I had to, and finally the pressure – knowing that he was out there, and I wasn’t – finally made me get up and do it. And I remember walking into the first shoe retailer and asking for the buyer. And was just dreading the word, “No,” which I got. I got it over and over and over again. But I did it mainly because my buddy was– I was guilting myself into thinking that I’ve got to be keeping up with my buddy. So that was the first part. Once I started to get into the surf shops though, I was in my familiar territory. I didn’t have that same fear. ‘Cause now I could come in, and I’d start a rapport with the person before I ever pitched the product. “Hey, how you doing?” “Hey, you’re an Aussie, and that’s– What are you doing over here?” “Well I’m selling these boots.” So there was a sort of an easier entree into it. So I didn’t have the same fear when we pivoted and segued into the surf market. Matt: Brilliant. And so I think what we’ve defined here is – is twofold. One is – we have to make sure that we almost have this feeling of our back against the wall. I mean, Brian shared that – he felt like he was letting down his friend by not being out there selling. For me – my father worked 80 hours a week, breaking his back – to make sure that my family could survive. And I promised my father that I would survive. It was 93 doors before my first sale. And just like Brian shared – he got turned down time and time again. But he believed that he had to do it. And anybody that wants to be in business, that wants to survive and be successful in business – has to sell. There’s no doubt about that. But you can make it easier. For me – when I started my own businesses, I would sell telecommunications to tradespeople. 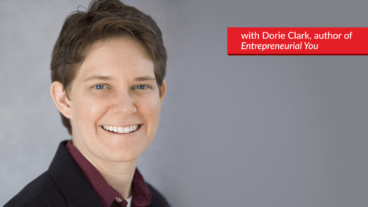 I would – in my current business, I work with introverts. It’s about making the conversation easy. For Brian, he focused on surf shops, because he knew the industry much better. So he could just be one of them. If you understand your customer better than they understand themselves, or know themselves – then you’re going to find that easier. So for an introvert, it’s breaking that barrier and going to speak to people. But don’t make it hard on yourself. Find a unique group of people that you will find it easier to speak to, communicate with – and get better results for. And that’s – really, I think the keys of what we’ve spoken about so far today. Now in the next episode, we’re going to have Brian back. And we’re going to talk about some other strategies and some other things as he – as he grew his business. But for today, Brian – thank you so much for sharing that information. Brian: Hey Matthew, thanks a lot. Matt: Great, and we will see you in the next episode of The Introvert’s Edge. Cheers.